Abortion rights activists are diligently pushing states to change their antiquated rules on abortion as the possibility of Brett Kavanaugh being confirmed into the Supreme Court inches closer to reality. Since Justice Anthony M. Kennedy announced his retirement this past June, pro-choice advocates have been working non-stop to keep Roe v. Wade from being overturned, which will be a real possibility if the ultra-conservative Kavanaugh gets a say. 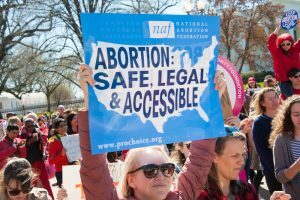 With a chance that the Supreme Court would allow states to determine the legality for abortion, activists are pushing state lawmakers to get rid of all laws banning and restricting abortions, even though all of them are currently unenforceable. Agata Pelka, state legislative counsel with the Center for Reproductive Rights, notes that this change is already taking place. “We’re seeing more states take a look at their codes and do a little bit of cleaning up old, archaic language that might be problematic in terms of getting abortion care,” she said. Codification is the process of turning a law, usually by subject, into a legal code or book of law. 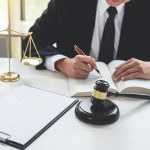 This means that there is written evidence inside of a jurisdiction—be it county, state or federal—that exhaustively covers a complete system of laws or a particular law, making it a common law of the (specified) land. Codification is the defining feature of civil law jurisdictions. Last month Massachusetts Governor Charlie Baker, a Republican, repealed the state’s 173-year-old abortion ban. That leaves nine states with abortion bans on record: Alabama, Arizona, Arkansas, Michigan, Mississippi, New Mexico, Oklahoma, West Virginia and Wisconsin. While the laws are unenforceable due to Roe v. Wade, they were never officially taken off the books. Except for Mississippi and West Virginia, these states have gubernatorial races in November—and the elections of more liberal governors would certainly increase the chances of these laws disappearing. Predominantly liberal-leaning states, as expected, are leading the charge to protect abortion rights. Governor Andrew Cuomo called on New York state legislatures to codify Roe v. Wade into state law, while threatening to sue if the Supreme Court overturns the ruling. Maryland House Speaker Michael Busch wants to add abortion protections to the state constitution. Both Delaware and Oregon have made it illegal to deny women access to abortions. “Even though this is kind of a scary moment to think of what’s happening, we’re seeing good, positive energy in states interested in expanding and protecting access in their states,” Pelka said.